If you need reliable, professional and experienced roofers serving the East Kilbride area, look no further. Our roofs can withstand years of unpredictable Scottish weather as we use the best materials for durability so that you and your family stay safe and protected. Our team of friendly and experienced workers have been satisfying customers in the East Kilbride area for many years, giving customers first class results. In East Kilbride? All your roofing needs are taken care of! We are roofers who are extremely experienced and good at what we do - and we'll ensure that you'll never look back. We strive for perfection and that's exactly why all of our work is guaranteed. 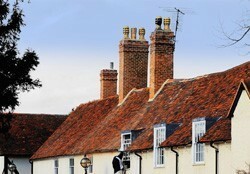 We offer such competitive prices that we are often asked to do insurance roofing jobs too. Wherever you are in the East Kilbride (G74) area, we can be there as your local, trusted roofing firm. We are local, expert and professional roofers, and we're proud of what we do. Call today on 0141 340 9604 to discuss your roofing needs with the local specialists. We also offer advice for roof care to prevent big bills in the future because we care! Speak to us for your free quote without obligation! Our roofers are always happy to help, where ever you may be in East Kilbride!